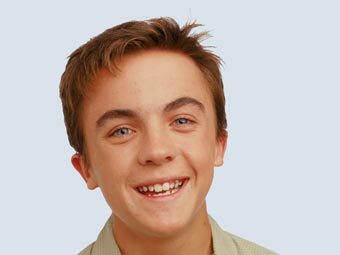 Not a great night of premieres: You have a choice of Hope & Faith's one-hour premiere on ABC, or the nod of another season of Malcolm in the Middle, starring the 37 year old Frankie Muniz. So if J-Fleck's the one who's pregnant, why do I have morning sickness? Must be because they offed Michael Vartan's Vaughn, or whatever his real name was, in last night's season opener. This, coupled with nary a single Mia Maestro appearance, does not bode well for a satisfying season 5. So, it is with a heavy heart that I offer last night's wig count: two... one long blonde streaky wig in Capetown, and a wild bobby one in London at episode's end. But it was more fun watching them absurdly hide Bennifer's bulge throughout the episode (A big, giant purse! A chase through a cornfield! A friggin' freight train!). It's gonna be a looooong season. That sucking sound you hear is the failure of all things Martha Stewart. To the surprise of nobody, except maybe the neckties of NBC, the domestic diva's new offerings aren't doing so well. 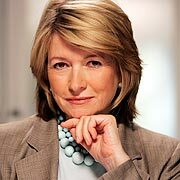 The Apprentice: Martha Stewart is totally stillborn on NBC; and her new syndicated offering, Martha is performing modestly at best, barely improving upon Jane Pauley's numbers. And it's hurting the all-important Living Omnimedia stock price, too! Even CBS' tell all docudrama, Martha Behind Bars, failed to do any ratings damage. Hey guys, face it: we don't care about Martha. Is it really that surprising? Let's move on. Lost dominated- again- in its second outing of the season Wednesday. Episode two averaged 23.2 million viewers- nearly 13 million more viewers than CBS' Criminal Minds, starring the wussified Mandy Patinkin. Even a repeat of last week's Lost season premiere, (8 p.m.), easily won its timeslot. The leadin benefitted Invasion, which still managed to finish first in all the key demos in its second week. Americans are finally watching less TV, right? No friggin' way. In fact, U.S. TV viewership reached a record household average of eight hours, 11 minutes a day last season, according to Nielsen. Of course, when you have TiVo and you can skip through the commercials, it means you can cram over 12 hours of viewing into that span of time. Technology is a beautiful thing!